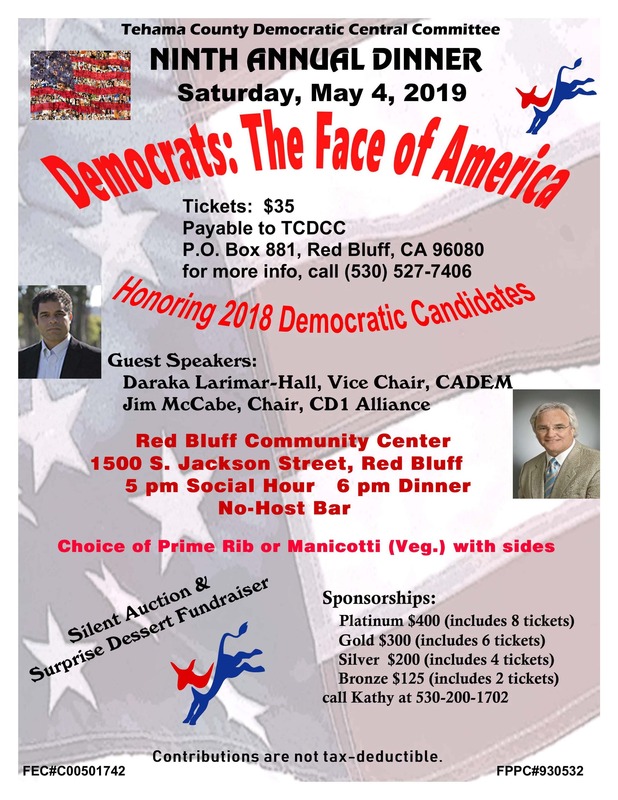 The Tehama County Democratic Central Committee invites you to their Ninth Annual Dinner on Saturday, May 4, 2019, at the Red Bluff Community Center, 1500 S. Jackson St, Red Bluff, CA. Social Hour at 5 pm and Dinner at 6 pm. Individual tickets are $35.